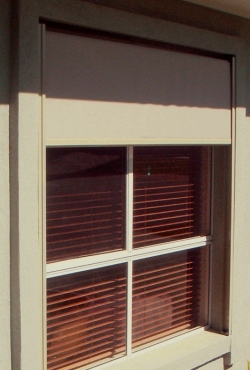 Exterior Side Channel Awnings stop the heat before it even hits your windows! 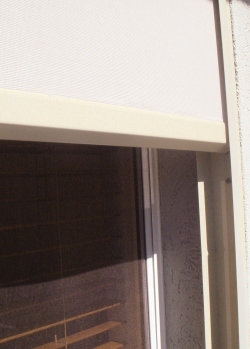 Side Channel Awnings come only with spring operation in a range of Canvas, Acrylic and Screen fabrics with your choice of side channel and baserail colours. 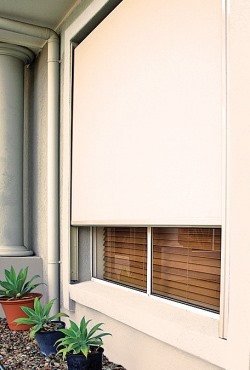 Solarview, Horizon and Outlook Mode Screens provide sun protection whilst maintaining your view. 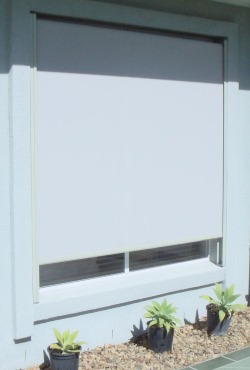 Choose Mode Privacy for some view but with good weather protection. 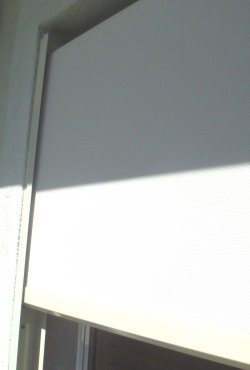 Docril for full weather protection with some filtered light and Canvas for full weather protection and light block out. Please see the individual product pages below for further fabric information. 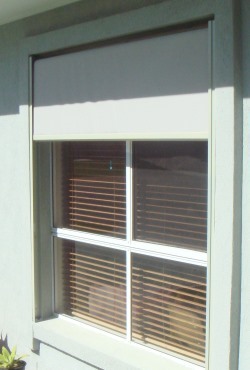 Perfect for Post to Post Veranda installation. They can only be side fixed only in a Recess. Simple side fix installation of brackets and side channels. NO Headbox is required. They will lock in various positions by twisting the baserail. Release it and it will roll up completely. No crank handle or motorisation options are possible.